⬅ Will the Real You Please Stand Up? God is in control of the details! I’ve “known” that and even spoken of it often from the platform. But too easily in my day-to-day life I forget that in my current monumental challenges that “God has got this”. 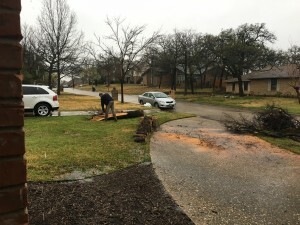 Much of America experienced major storms this week, including my city in Texas. At 8:15 in the midst of pelting rain with the worst reported to reach us in 30 minutes, my husband drove my kids to school and I left for my breakfast appointment. Two hours later I came home to find a stranger with a chainsaw working on a huge tree in my front yard and stumps and saw dust everywhere on the side of the house! This absolutely drenched Good Samaritan I have never met drove by right as the two largest trees at my house toppled over just 15 minutes after we drove off! Apparently one of the trees blocked the main road and this man and some city workers chopped up the one that blocked the road and he chose to stay to finish the work. 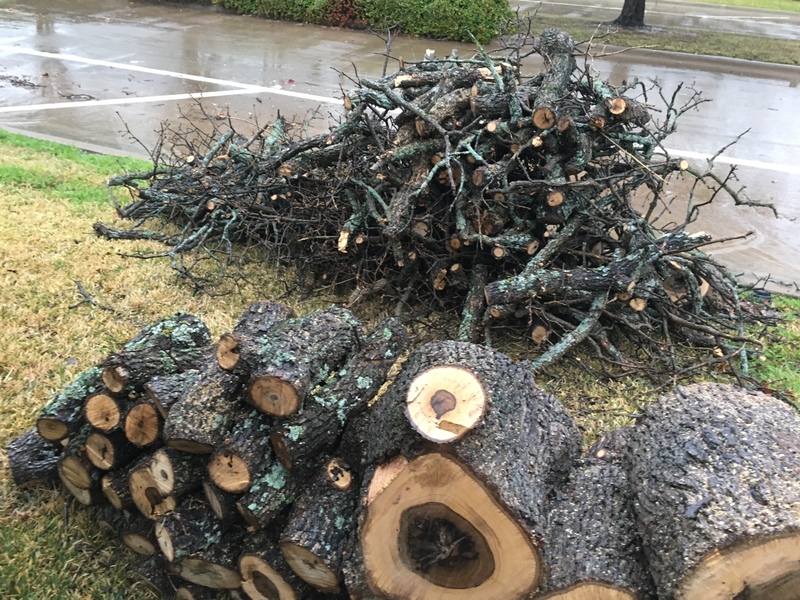 Here’s what is truly amazing—both trees fell neatly away onto the ground without hitting my house or any parked or passing cars. Plus, my husband is recovering from surgery and couldn’t have dealt with the temporary crisis. At just the right time a stranger drove by and chose to “pay it forward” to handle the trees for us. He gave me a name but not an address and I haven’t been able to track him down. He just vanished. What does this all mean? Even if the trees fell on the house, other than a hassle and headache, we would have survived it. However, I’m facing other life challenges, as like we all are. And this toppling of the trees and cleanup that followed reminded me that God is in the details of my life. God let me know at just the right time that He has my life challenges in the palm of his hand and he is going take care of it for me. It’s going to be all right. 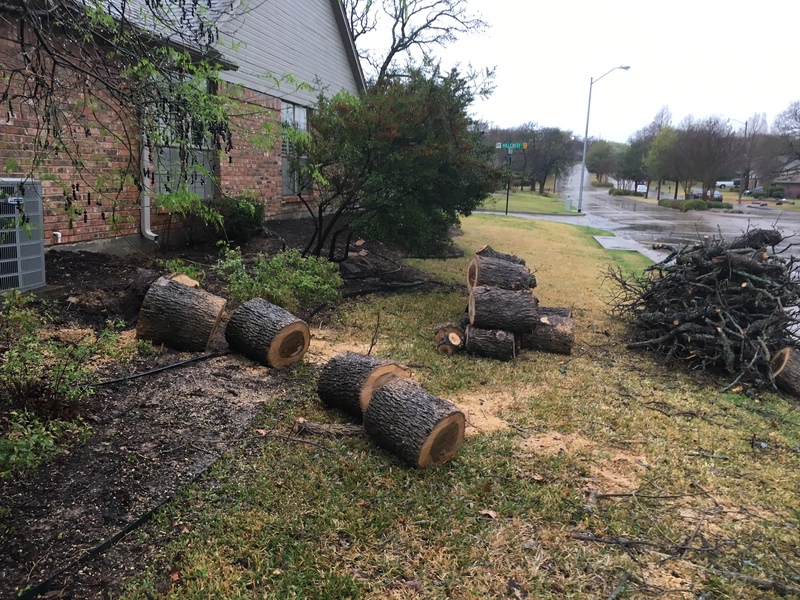 If God can allow an instant major storm to tear 30-40 foot trees around me to the ground (when no other trees nearby are toppled) then have a stranger come by and neatly clean up the mess—and I didn’t lift a finger—well HELLO, there is clearly a message for you and me here. God is in the details. He can and will clean up the toppled trees in our lives, even when we think we are the only ones facing the storm. He can even use a stranger to get it done. Hey all, I’m an Author, Life Coach & Speaker. This is my personal blog aimed at encouraging and equipping women to make better choices so you can live the thrilling life God planned just for you! I write on relationships, dreams, daily life, and life transitions. I’ve written 4 books, including “Finding a Man worth Keeping.” I spent more than a decade as a Hollywood Talent Agent and met my Husband at the Golden Globe Awards then left Tinsel Town for love, marriage and happily ever after. The God Test — A Test Worth Taking! ©2019 Victorya Rogers - The Thrilling Life. Powered by the Get Noticed! Theme.